Inside this quarter’s newsletter you will learn about the opening of STS Aviation Group‘s new office in Denver, we’ll take you inside some of the major projects being worked on by STS Line Maintenance, talk about STS Component Solutions‘ new partnership with Esterline Corporation and highlight our company’s active involvement in charity work. We will also showcase our recent achievement in making the Inc. 5000 list recognizing the fastest growing private companies in the United States and introduce you to the newest faces around our offices. If you have any questions, please do not hesitate to contact us any time at 1-800-800-2400. Also, we know it’s a little early, but we’d like to wish each and every one of you a Happy Halloween! “Go West, young man” is a quote by American author Horace Greeley concerning our nation’s expansion westward in the late 1800’s. This quote is relevant to us today because STS is finally taking that advice! Actually… not so much. 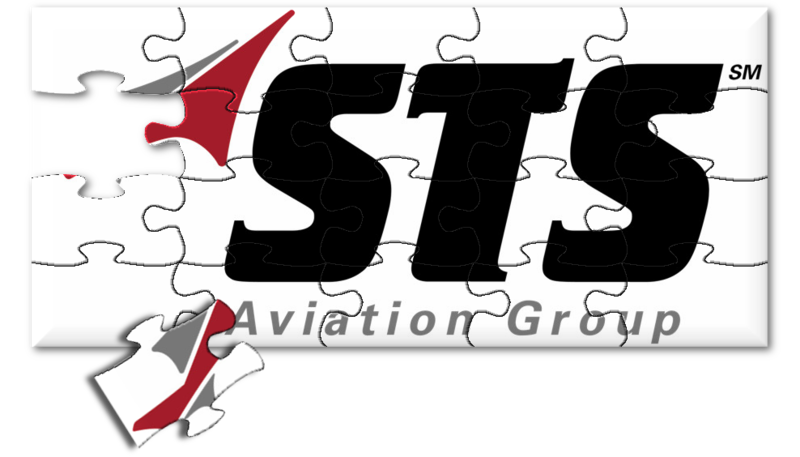 STS Aviation Group has roots on the West Coast having started in Reno in the mid 1980’s before moving to Nashville and, finally, Jensen Beach where we remain today. Knowing this, it may be more sensible for me to say that STS will be returning to its roots by opening a brand new West Coast base of operations (scheduled to be up and running at the end of Q4, 2014) in Denver, Colorado. STS has always maintained a fairly centralized operational management focus, but in the recent past that’s changed and will continue to do so. We are finding, especially with our recruiting operations, having coverage into the evenings of the Pacific Time Zone has significant benefits. Thanks to ever-changing technology, STS has increasingly been able to cover more geographic regions without the need of a West Coast office. However, there comes a time when the size and sheer volume of the opportunities we receive requires a more concrete, long-term investment. Even though STS has a well developed global footprint in terms of size and scope, we’ve branched out over the past few years with larger scale centers of excellence in Milwaukee, South Florida and now, Denver. These Centers of Excellence are so much more than focused customer relation stations or localized inventory pools. They involve full-cycle business operations that work in parallel with our HQ in Jensen Beach. Each center allows us to provide increased support to our existing customer base while giving us the ability to create new opportunities in strategic regions throughout the country. As we prepare to get the new Denver office up and running, we look forward to supporting each of you even better with this new, expanded geographic reach and extended time zone coverage. It’s been a very busy year for STS Line Maintenance (STSLM), and it only looks like things are going to get much busier as we move into the fourth quarter of 2014. During the past two quarters, the STSLM team has been working on several projects that continue to cement our revenue base; projects that I would like to tell you a little more about. The first — a small project with huge implications — revolves around our team’s effort to modify and upgrade an Air Force KC-10. This project was initiated by a major U.S. aircraft manufacturer, and this manufacturer has tasked STSLM with making prototype modifications set to be implemented throughout the entire KC-10 fleet. One of the major modifications we are working on is to install an over service valve in the forward lavatory to prevent the lavatory from leaking into the avionics equipment bay below it. As we all know, or at least we can all assume, blue water and electronics don’t mix very well. In addition to the valve mod, our team is also installing a modified environmental curtain on the main cargo deck of the KC-10. This is being done to prevent ground equipment fumes from propagating and accumulating in the passenger section of the aircraft. In conjunction with the curtain mod, the STSLM team is working on insulation blankets in the same area. While this is not a very big project in terms of time and effort, it has no doubt helped to open the door with this manufacturer for future collaboration. The second special project in the works is huge and has to do with a major WiFi company. That company, which cannot be named for contractual reasons, has once again chosen the STSLM team to install its WiFi Internet connect system across an entire fleet of aircraft operating for a major North American airline. We have done this in the past for several other airlines and saw great success, and that success has caused this particular WiFi company to tap us again. The WiFi install is headed up by the STSLM’s Director of Maintenance, Brandon Monk. He has enlisted the assistance of Jack Hixson as this project will encompass over 100 aircraft in three different cities. Both gentlemen have a proven track record in this arena, and we have the utmost confidence in their abilities and look forward to exceptional results. Besides the two special projects mentioned above, STSLM continues to conduct its normal course of business and has several exciting events taking place that are noteworthy. 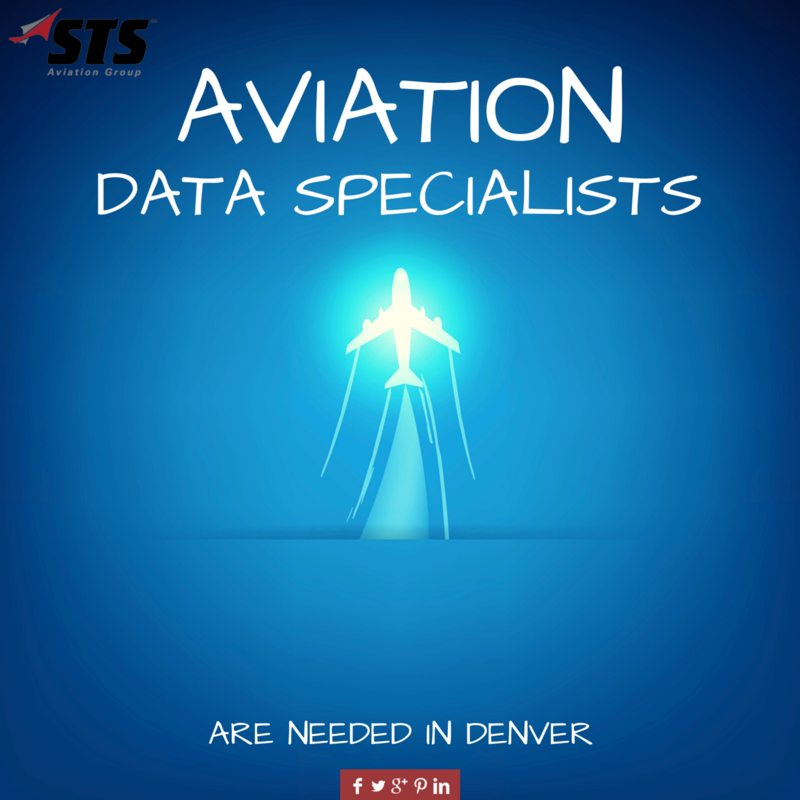 Starting in November of this year, the STSLM team will be assisting a major air carrier in Denver in repositioning their international arriving aircraft to domestic gates. This will be accomplished with the use of a High Speed Super Tug. The DEN Station Manager, Shawn Peterson, and his team will be trained by the carrier in an effort to accomplish these moves using only one person at the controls and two guide personnel. This is a tremendous cost-savings opportunity for the airline and a helpful boost to our bottom line. In addition, at our Dallas/Fort Worth station, the previously mentioned WiFi company has selected STSLM to accomplish an ongoing maintenance and program upgrade for another major airline based in the same location. Our new DFW Station Manager, Doug Williams, will be overseeing this program with his DFW team utilizing USB flash drives provided by the WiFi company. This will entail anywhere from 60 to 90 aircraft per month in that city. Finally, as most of STS Aviation Group’s Jensen Beach headquarters saw, we had our annual Line Station Managers meeting at the end of July. This was a very productive meeting as all departments offered in-depth training and some very interesting presentations. Many thanks to all who participated for helping to keep this motley crew straight (See picture above). STS Component Solutions prides itself as being a “market pioneer” in the aviation industry. Our track record and success has been driven by a pursuit to establish value-driven solutions to our customers and business partners. It is also a key driver in our business strategy to always be new looking at the newest generation platforms and tailoring our services to support these platforms. We are proud to announce that in 2014 we have launched our support and services into the B787 marketplace and have established a Global AOG support and warranty administration agreement with one of our OEM business partners, Esterline Korry. On the B787, Esterline Korry is a Tier 1 supplier for twenty-seven Flight Deck Control Panels that are configured with one inch lighted push button switches. STS Component Solutions will provide Global 24/7 AOG Support in three continents to support B787 Operators worldwide. STS Component Solutions has strategic inventory positioned in numerous warehouses throughout the America’s, Asia and Europe; thus allowing us to ensure timely delivery of Korry’s B787 product line to airline operators in just about every corner of the world. In addition to the Global AOG Support we will also be providing B787 operators with seamless warranty administration to ensure that the highest level of support and service is provided to the fleet. The goal of this strategic partnership is to enhance the support levels to the B787 fleet and allow us to utilize our global offices and inventory locations to provide paramount support and service on this Product Line. This program further compliments our global growth strategy in addition to expanding our transition into latest generation aircraft platforms. This strategic partnership also represents another example of STSCS stepping into the forefront and developing a value driven solution to a strategic business partner. The fact that is program is focused on the B787 fleet allows us to take our capabilities and services into the newest generation aircraft platforms. We are confident that we can utilize this footprint to expand our capabilities and services. The entire STS Component Solutions team is very excited about this new milestone for STSCS and looks forward to the success and viability of this program. This partnership represents another innovative approach to taking on a challenge and creating a business opportunity. This is the foundation and success that has established us as a market leader in supply chain solutions. STS Aviation Group’s Corporate Culture Committee comes together every quarter in an effort to raise both money and awareness for a cause that we care about. In Q3 of 2014, our team selected Autism Awareness as the focal point of our philanthropic efforts, and I couldn’t be more excited to tell you all about what we’ve done and what we are doing to help support this cause. Hello everyone. My name is T.J. Scott, Vice President of Operations for STS AeroStaff Services. Stick with me for a moment because I’d like to share with you a quick story, one that I hope will help explain the reason why Autism Awareness is such an important issue to me and the rest of the STS Aviation Group family. As far as I’m concerned, Autism isn’t just another word; it is something I deal with every day. I’m the very proud father of two wonderful boys whom have both been diagnosed with Asperger’s Syndrome. Asperger’s Syndrome is best defined as an Autism Spectrum Disorder (ASD) that is recognized by difficulties in social interactions and non-verbal communications. The syndrome also carries with it a range of behavioral idiosyncrasies, which includes consistent and repetitive patterns of behaviors. Asperger’s Syndrome is different from other ASD’s due to the limited negative effect it has on lingual and cognitive development. My sons look just like all of the other kids their age. They play the same video games. They argue about doing their homework. They fight about doing their chores, etc… My sons are loving, kind and considerate. They don’t like seeing anyone or anything in pain or distress. They have above-average intelligence though are often easily distracted. They want to be accepted and liked by those around them but don’t have to be the most popular kids in the room. In short, my children just want to be allowed to be who they are without the fear of ridicule our persecution. Now I love my boys more than life itself, and it gives me great sense of pride knowing that I work for a company that not only cares about me and my family on a personal level but also cares enough to help support a cause so near and dear to our hearts. Autism Speaks is an organization that provides excellent answers to the following questions… What is Autism? What is Autism Spectrum disorder and how common is Autism? Many of you know that STS’ headquarter offices are located in Jensen Beach, Florida. And when our Cultural Committee decided to help raise money and awareness for Autism, we wanted to do so on both a local and national level. Just outside of Jensen Beach in Stuart, Florida, there’s a school that specializes in educating children who are on the Autism Spectrum. The school is known as The Hope Center for Autism, and they are a public charter school for children with autism and autism-related disabilities. They focus on early education or pre-kindergarten through grade two. The Hope Center offers a curriculum guided by the principles of Applied Behavior Analysis (ABA) and utilizes low staff-to-student ratios in an effort to provide an individualized, comprehensive and intensive educational program for each of their students. All of their individual education plans are overseen by a Board Certified Behavior Analyst and implemented by a teacher certified in Exceptional Student Education. They are also trained and experienced paraprofessionals and therapists. The Hope Center is a public school, and therefore does not charge tuition. Similar private schools charge upwards of $36,000 per year. Knowing this, STS Aviation Group was more than happy to step in and help raise money for this amazing program. Through the generosity of our employees, matching donations by STS’ executives, as well as the various fundraisers we supported, the STS Aviation Group family has been able to raise enough money to purchase and provide to The Hope Center for Autism eight electronic tablets that will be used in educating and preparing its students to meet the needs and challenges that lay before them. Through the kindness and generosity of our employees and our community, STS will continue its efforts to help raise Autism Awareness. In doing so, our efforts will help complete the puzzle and move us one step closer toward social acceptance and understanding. 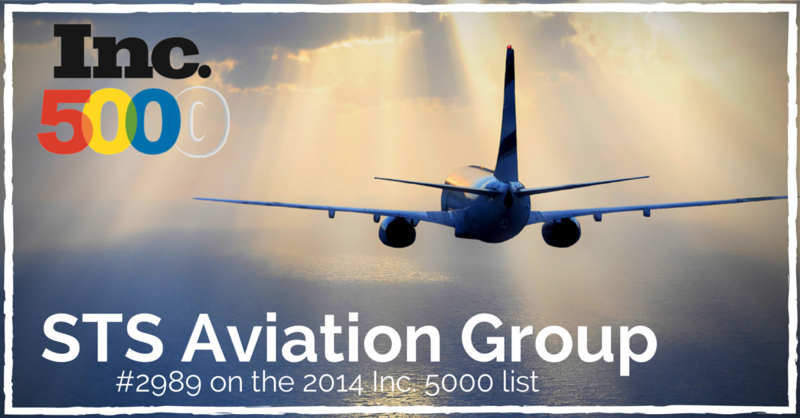 STS Aviation Group is proud to announce that it has landed the 2,898th spot on the Inc. 5000 list recognizing the fastest growing companies in the United States. In this post, we would like to spotlight one of STS Aviation Group’s recruiting all stars, Mark (Delta) Wygant, and introduce 13 new corporate employees whom have all been hired in the past few months. 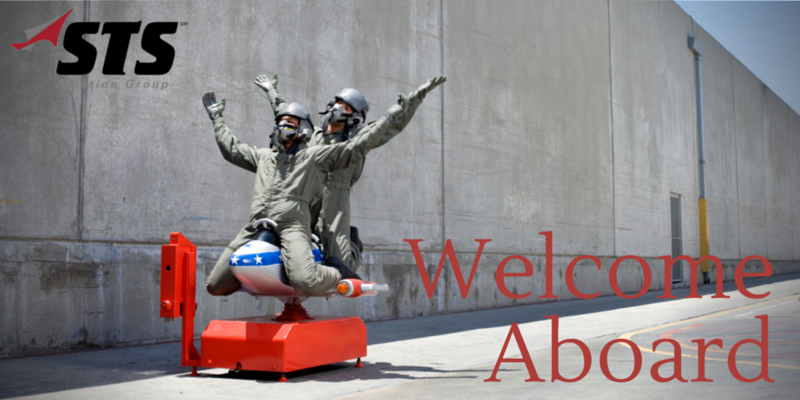 My primary job function is leading a team of skilled Aviation Recruiters and Data Specialists. I am also responsible for recruiting qualified aircraft maintenance technicians along with managing several key accounts for STS AeroStaff Services. I enjoy the fast-paced environment. Every day, there is something new to learn, someone to train or an order to fill. I never have to worry about coming to work and being bored or unchallenged. This is a ridiculously hard question to answer, so I’m just going to take the easy way out and tell you that I have two favorites… Top Gun and Apollo 13. Both, in my opinion, should be at the top of anyone’s list. I know these are two totally different types of movies, but I consider them all-time greats that I will enjoy for years to come. My first ever Halloween Horror Nights trip stands out. The long ride from our headquarters in Jensen Beach to Orlando was very interesting, to say the least. During the drive, a conversation took place that I’ll be able to laugh about for years. The conversation was with another Team Lead at STS, Jose Vives. Jose told us that his all-time favorite place to eat was Bojangles. I had never heard of Bojangles before, so I asked him what it was and this is what he said. “It’s like fried chicken calamari style.” Does anyone else even know what that means? Jeremy Baber was born and raised in sunny South Florida. Shortly after High School, he joined the Army and was set with the 1st Infantry, 1st Aviation; an Apache and Black Hawk Battalion. For three years, Jeremy lived in southern Germany and was part of the armament and refuel team for the helicopter battalion stationed there. After completing his tour of duty, Jeremy entered the public sector and took a job with Banyan Air Service in Ft. Lauderdale, Florida. This is where he met his best friend and wife, Katie Baber. Shortly after their marriage, Jeremy and Katie decided to settle on Florida’s famed Treasure Coast prior to beginning their family. Jayde was born and raised in Traverse City, Michigan, until she was 16 before moving to South Florida. She enjoys the outdoors and loves to spend her free time doing everything from four wheeling, fishing and going to the beach. Jayde also loves to spend her nights at the track watching the races. A few of her job responsibilities include coordinating logistics with STS Engineers on their way to job sites, preparing resumes to submit to clients and ensuring our contracted team members have the information they need to excel. Taylor is from Red Bank, New Jersey, but currently lives in Port Saint Lucie, Florida. She likes going to the beach, boating, fishing and pretty much anything on the water that doesn’t involve sharks. Her favorite T.V. show is The Office (Dwight Schrute is her hero), and her favorite band is No Doubt. Taylor is Tom Covella’s (Group President of STS Component Solutions) executive assistant. She is very good at multi-tasking and doing whatever is needed of her in a professional capacity. Over the past few months, Taylor has been planning events, coordinating travel arrangements and keeping the office supplied with whatever it needs to keep the team flying (see what we did there?). Emmy has lived in Fort Pierce, Florida, her entire life. Jennifer was born and raised in Fort Pierce, Florida. She is currently attending college in an effort to pursue an Associates degree in Radiology. In the future, she hopes to become an Ultra Sound Technician. While not at work or attending class, Jennifer mostly enjoys going out and spending time with her family. She’s also a big soccer fan. Toni is from a small town in Northwest Alabama. She moved to Florida four years ago and has an Associates of Science degree in Massage Therapy. When she is not at work, Toni enjoys spending time with friends, reading as much as possible and cooking. Pauline is an Aviation Data Specialist for STS AeroSfaff Services. She was born and raised in Syracuse, New York, and has a B.S. degree in Business. Part of her job responsibilities include inputting resumes for recruiters and helping to match qualified aircraft mechanics to one of of the growing number of career opportunities we offer around the country. Pauline loves spending time with her family, dogs and friends. She also enjoys gardening, traveling and going to the beach. Her favorite sitcom is King of Queens and her favorite reality show is Dancing with the Stars. Teresa was born in Fort Hood, Texas, and she was raised in Atlanta, Georgia. She graduated from Georgia Southern University with a Bachelors Degree in Political Science. She and her husband Kris have been married for five years and have two children, Mason and Mila. Teresa loves all outdoor activities (camping and skiing in particular), traveling every chance she gets, creative writing and spending time with family and friends. Arturo was born in Mexico, grew up in New Mexico and graduated this past May with a B.S. degree in Engineering from Fort Lewis College in Durango, Colorado. He enjoys the outdoors and tries keep active as much as possible (his favorite activities are snowboarding and soccer). Currently, Arturo is an intern for STS Engineering Solutions and is presently training with John Collins working on aircraft repairs. In her spare time, Leyna loves to play video games and watch movies. She and her boyfriend bought a house together earlier in the year, and the daily upkeep and random repairs have made her a big fan of Pinterest DIY projects. Gabrielle was born and raised in Stuart, Florida. She graduated from Indian River State College in 2011 with a Bachelor’s degree in Business Management. In her spare time, Gabrielle enjoys boating, going to the beach and playing racquetball. She also works as a part-time babysitter for number of local families on nights and weekends. Gabriel Viso is 23-years old and was born in Valencia, Venezuela. He came to the United States when he was 16 and attended school at Talladega College in Alabama. A former professional baseball player, Gabriel still likes to play during his free time. He also loves trying new restaurants and going out dancing with his wife and friends. Gabriel is a part of the ILS (Inventory Locator Service) team at STS Component Solutions; a divisional branch that is in charge of all aircraft and engine inventory sales for the company. Jessica was born and raised in Melbourne, Florida. She has an amazing husband and three wonderful children. For fun, Jessica is a volunteer Cheerleading coach (two years, now) who also enjoys taking her kids to dance, gymnastics and karate lessons. Recently, she joined the Cub Scouts and Girl Scouts as a team volunteer, and she has a self-proclaimed passion for mentoring children. When she is not work, Jessica is always on the go. “While my life is exhausting at times, it’s very rewarding and I couldn’t ask for anything more,” she said. We passively mentioned this at the top of the post but it makes sense to reiterate. AtSTS Aviation Group, we treat our employees like family. We nurture and guide their careers down the path of success and promise to work with them every step of the way to ensure prolonged professional happiness and complete job satisfaction.